The Crayon Can takes old, broken crayons and reforms them into new shapes. If you’re in the area, they will pick up; otherwise, mail to them. 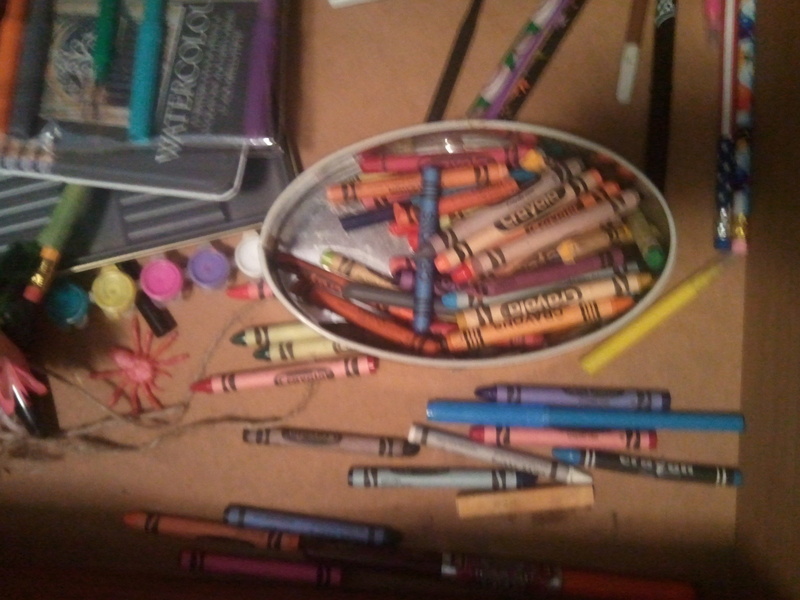 Crazy Crayons takes unwanted, rejected, broken crayons to a better place, where they’ll be recycled into fresh, new crayons! Crazy Crayons has drop-off bins across the nation. Make new crayons with help from Instructables. Don’t throw away those old broken pieces, save them and make new, fun-shaped crayons for gifts and packaging ideas, stocking stuffers, etc. Check out our previous post for donating to Tools for Schools to help children with special needs from your old crayons! This entry was posted in Art Supplies, Crafts, Crayons, Think Outside The Bin and tagged crayon can, crazy crayons, donate crayons, instructables, postaday2011, recycle crayons, what to do with old crayons. Bookmark the permalink.